Typhoon Falcon, internationally known as Chan-Hom, has been maintaining its west-northwest path with steady strength. PAGASA stated that Falcon is expected to be out of the Philippine Area of Responsibility by Friday morning. Falcon has been estimated to be 1,250 km east of Calayan, Cagayan, with maximum winds near the center of 130 kph and estimated gustiness of up to 160 kph. 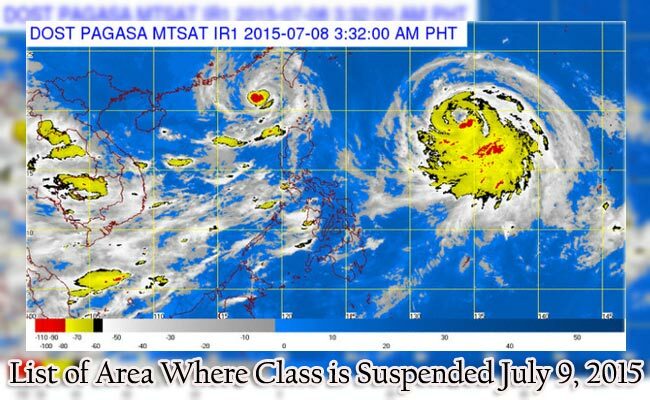 On Thursday morning to be at 810 km east-northeast of Batanes as reported by PAGASA. By Friday, Falcon will be out of Par, around 750 km away from north-northwest of Batanes. Though Falcon is about to exit, it had gradually affected the southwest monsoon bringing heavier rains. Rainfall is expected to be light to moderate on Thursday while it will be moderate to heavy by Friday. There will be a ‘monsoon surge’, making Habagat packed with heavier rainfall across Luzon.